Real estate is a powerful addition to anyone’s investment portfolio, but few are in the financial position to purchase and/or own properties. This has fostered the creation of opportunities that lower the barrier to investing in real estate. Among these opportunities, we take a look at the most popular method, real estate investment trusts, (or REITs) and a newer, rapidly growing option: crowdfunding. A REIT is a type of security created in the 1960s which invests in properties or mortgages, and are often traded on major exchanges worldwide the same way as stocks are. All REITs must distribute at least 90% of their profits back to their shareholders. Alternatively, people can invest in mutual funds that invest in several REITs. Recently, crowdfunding platforms catered to accredited investors such as RealtyMogul and Fundrise now offer their own REITs: MogulREIT and eREIT, respectively. These are structured almost identically to traditional REITs. REITs are not held typically held by individuals and can be extremely complicated to the Main Street investor. 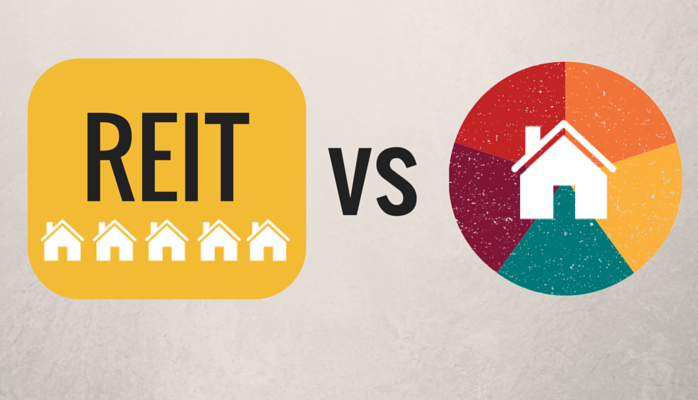 Among the drawbacks with REITs is are lower returns on investment and less transparency for investors. Manager fees and property maintenance costs significantly dampen the returns for investors. Learning the full property holdings of a REIT can be an extremely difficult and time-consuming process. In addition, the vetting and selection of properties in are made by REIT managers, not by the investors. With crowdfunding, several investors give varying amounts of capital to fund a business venture or project. Through online platforms, real estate crowdfunding allows investors from all over the world to collaborate and invest in properties previously inaccessible to them because of geography or capital restrictions. With real estate crowdfunding, investors can choose the properties in which they invest and the scale of each investment. Most real estate crowdfunding platforms disclose the prerequisites, costs, and projected returns associated with each property, typically providing significant transparency. As real estate investments through crowdfunding are backed by the properties themselves, there is significantly more stability against overall market volatility and inflation. RealtyReturns and upcoming platforms open to non-accredited investors will provide nearly unprecedented access to a formerly exclusive network of screened, high-quality real estate investment opportunities. For its advantages, crowdfunding carries some limitations. Until May 2016, real estate crowdfunding was limited to accredited investors--less than 5% of America--with significantly high minimums. Though real estate crowdfunding can now include non-accredited investors, those investors are limited to 12-month investment caps depending on financial income or net worth. Real estate crowdfunding has higher minimums, though maximum yearly investments are close to contribution limits to one’s 401(k). Some crowdfunded real estate investments have liquidity limitations. However, platforms like RealtyReturns offers investments with shorter maturities, and its increasing popularity will foster more marketplaces. Which Investment Strategy is Right? Deciding between REITs and real estate crowdfunding is a matter of balancing risk, return, and maturity. Any portfolio including both is a strong foundation for real estate investments. It’s important for any investor to assess the strengths and limitations of these on other investments, finding the best that fit their respective investment goals, whether it’s passive income or mitigating risk. Start your real estate investment journey by signing up with RealtyReturns or join our newsletter to stay in the loop on the latest opportunities, real estate news, and more.